Wilhem ten Rhyne was a physician for the Dutch East India company and spent a couple of years in Japan in the 17th century. During his stay he exchanged medical information with Japanese and Chinese health workers. 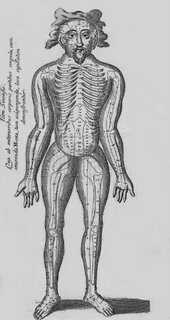 In 1683 he published Dissertatio de Arthritide: Mantissa Schematica: de Acupunctura. 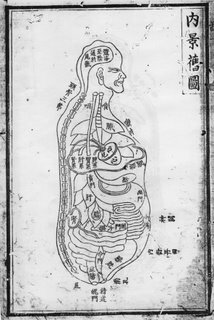 This was the original first-hand published account of eastern medicine and introduced the western world to the concept of acupuncture. Early Developments in Electroanalgesia (part of a thesis, possibly by Joseph Gadsby). 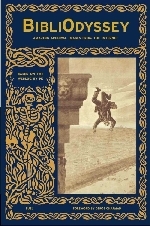 Problems with the Energy-Meridian Theory by D. E. Kendall (cache). Willem ten Rhijne und die japanische Medizin I & II (in german). labelled 'Hattori 1815'. Very 'diagrammatic'. I was very surprised to find that I haven't actually mentioned the name Ambroise Paré (1510-1590) anywhere in the archives. He was a battlefield surgeon who published pivotal works on anatomy and wound treatment and made advances with respect to amputation surgery. 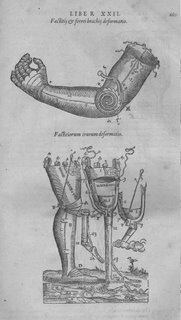 He "also invented upper and lower extremity prostheses that show knowledge of basic prosthetic function. "Le Petit Lorrain" was a hand operated by springs and catches made for a French Army Captain, which he then used in battle. 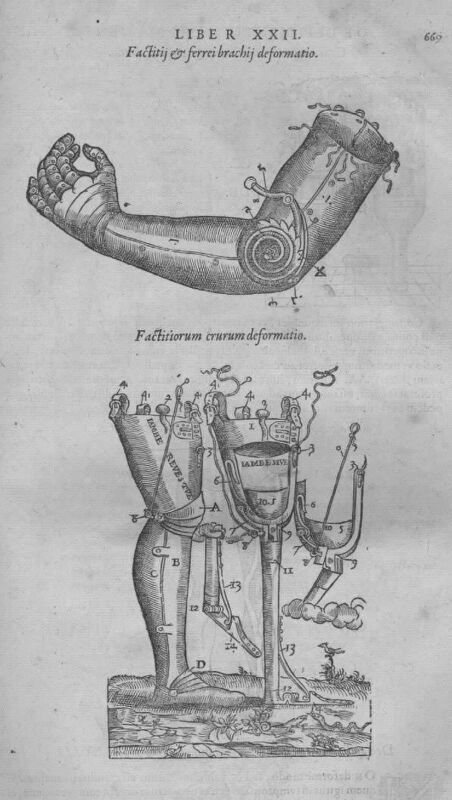 He also invented an above knee prosthesis that was a kneeling peg leg and foot prosthesis. It had a fixed equinas position, adjustable harness, knee lock control, and other engineering features used today." I was surprised at not finding Ambroise Paré's name here because I know I've posted images that have in some way been associated with him. He was also a leading obstetrician and it's my understanding that he published works relating to monsters, some of which are wonderfully bizarre but those of the human deformity genre are not really to my taste. 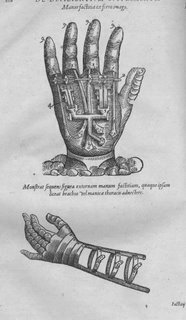 There was a whole body of work particularly in the 17th century devoted to birth defects and the like. Prosthetics history at Northwestern University. The Paré gallery at the National Library of Medicine (with large images). Mutants: On the Form, Varieties and Errors of Human Body by Armand Marie Leroi in The Guardian. Grotesque Marvellous Monstrous - images. 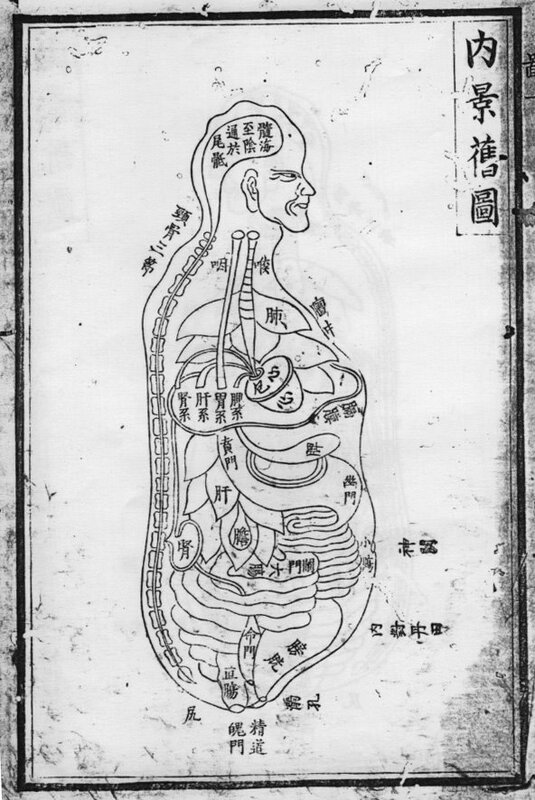 All the illustrations above come from Kyushu University in southern Japan [link updated 27.9.06] - it's a 13 page exhibition of works from rare eastern and western medical texts. Most of the images are unfortunately either poorly digitized, photocopy quality, small or freely available elsewhere (see this previous post for a large list of anatomical image sites and also the excellent Anatomia site at the University of Toronto [via]) but there are occasional gems. wonderful blog, beautiful and interesting stuff! Jenny, 'Hattori 1815' is Japanese - see this page at Kyushu University.